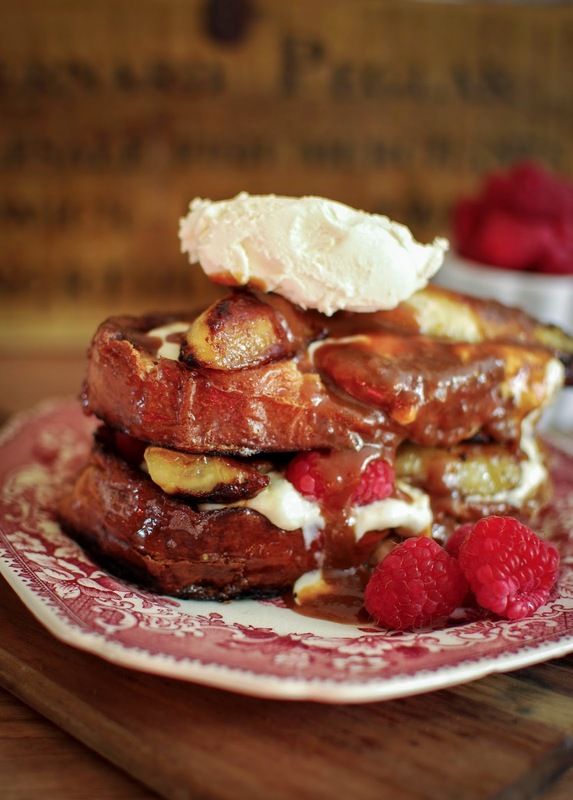 First of all is this unbelievably decedent banoffee french toast. This one is best kept in the banks for that special occasion, or to get you out of trouble if you’ve been a naughty girl or boy. 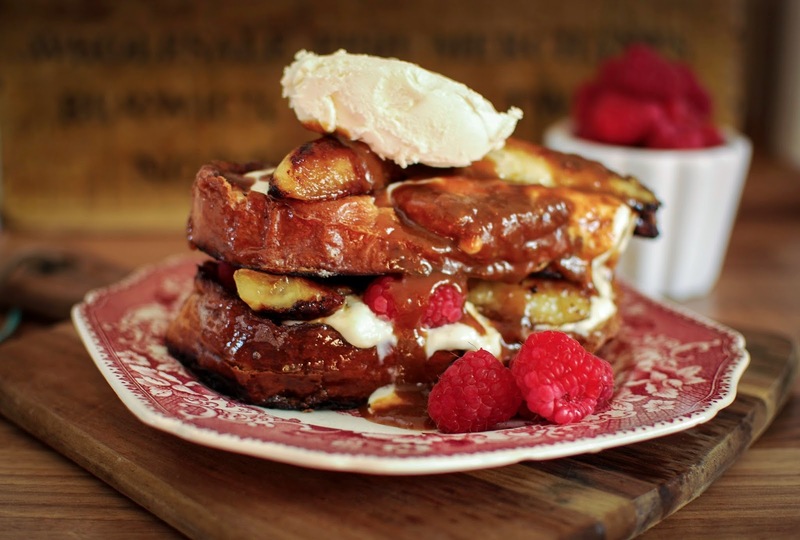 Who can resist these thick slabs of brioche soaked in a maple eggy wash, slathered in caramel and fried bananas?! I’m drooling, you should be too! In a large shallow dish, whisk together eggs, milk, vanilla, maple syrup and cinnamon. Set aside. Place a large, heavy frying pan over a medium heat and melt a knob of butter, dip your bananas in the brown sugar to coat before adding them to the frying pan. Cook until lightly caramalised and smelling delicious. 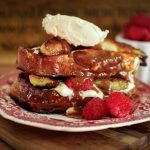 To assemble your toast spread one slice with a thick layer of mascarpone, two pieces of caramalised banana and some berries. Repeat with the second layer and drizzle with toffee sauce. Sit back and enjoy. Oh wow, I've added this to my must-make-soon list!